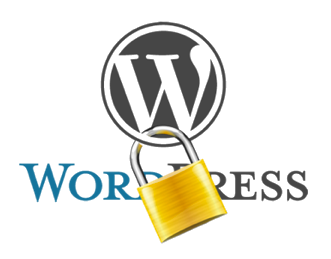 Due to recurring security issues with WordPress I wanted a some kind of wordpress vulnerability monitoring for our Wordpress implementations. The current monitoring setup is implemented with good old fossil Nagios. Despite of many better alternatives, Nagios still does a great job in alerting me through the aNag app. In this post I’ll describe a simple Nagios setup for continuously monitoring WordPress vulnerabilities. It’s pretty straightforward if you already know Nagios. Nevertheless the scripts I wrote to wrap things around should be re-usable (more or less) to be used in any other setup (ELK?). 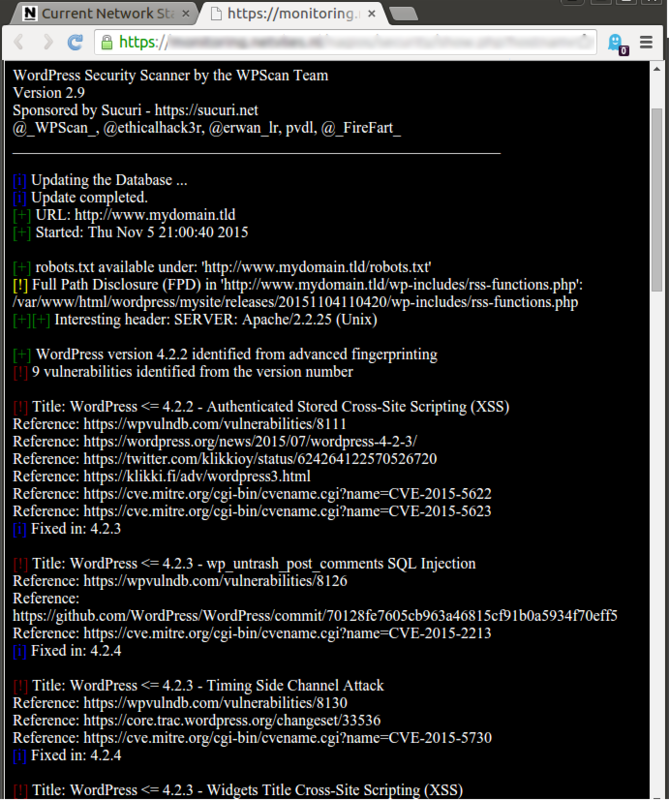 Scanning WordPress is done with the wpscan tool, which can be downloaded from http://wpscan.org . Output of this tool is stored, transformed and displayed in the Nagios way of doing this. As a prerequisite you need to install this tool on your server (hint; use the RVM method) and have PHP/MySQL installed for different subcommands that will be called. First we’re going to write the command, service and service template in Nagios. Check interval is set to once every 24 hours. And by using a parent service (template), you can easily create more checks for other WordPress instances. I copied the configuration from my generated config, which is created by Nconf, but shouldn’t make any difference in directly using this config. When you look closely at the configured command you will see a lot of piping. I could have put all into one command, but that wouldn’t be re-usable in a future possible ELK setup. It’s also a bit easier to change these scripts to your needs, as its purpose is more obvious. By using different subcommands we can easily replace the filter later on when wpscan 3.0 is released, also the wpsecurity_store is optional as it outputs exactly what it receives (so you can leave that out if you don’t want storage; also remove the notes_url from Nagios config if you do so). In the Nagios dashboard there is only room for just one sentence for the state of that service. Just naming the number of found vulnerabilities isn’t enough. That’s why we stored the output in MySQL. With a notes_url config we can redirect to a separate PHP file which will display the output generated by wpscan. Please adjust to your needs 🙂 as it is just bare minimum. In the example below are 2 PHP includes which can be downloaded from the SensioLabs repo https://github.com/sensiolabs/ansi-to-html. If all went well (see /var/log/nagios/nagios.log for errors), you should be seeing something like screenshot below. Watch for the the document icon right from the service description. This link will lead you to the next screenshot.